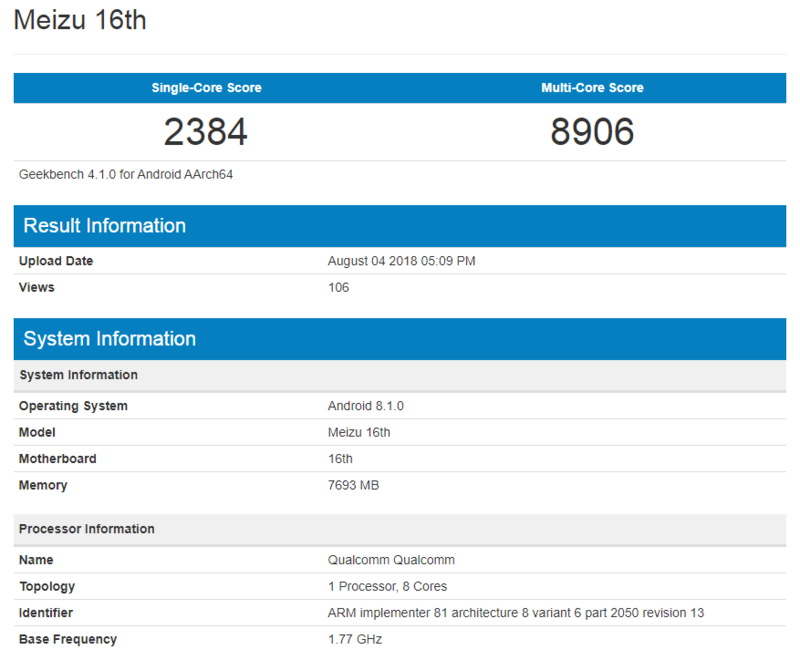 New Meizu 16 variant with 8GB RAM spotted at GeekBench - Playfuldroid! Last month, courtesy of the Chinese TENAA authority, we had already learned that the upcoming Meizu 16 smartphone will be arriving with 6GB of RAM out of the box. However, right now there is another variant of the Meizu 16 with 8GB of RAM spotted at GeekBench as well. 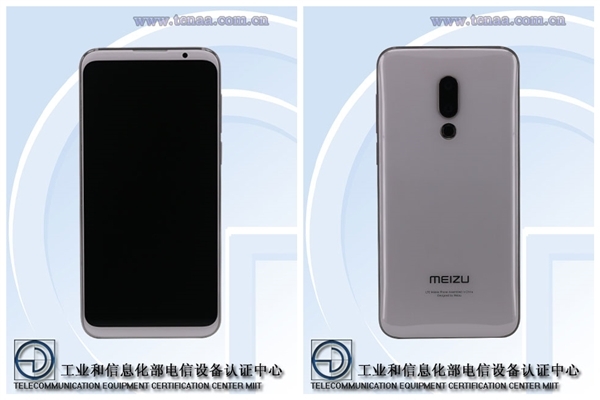 This device codenamed Meizu 16th is alleged to be a limited model of the Meizu 16 according to reports in China. Aside from revealing its RAM capacity, the GeekBench listing also shows that the device will be running on the Android 8.1 Oreo out of the box. For the benefit of those who’d missed out, the Meizu 16 will sport a 6-inches AMOLED display with 1080×2160 pixels screen resolution. The device will be powered by a Snapdragon 710/ Snapdragon 845 SoC depending on which model, and will come with up to 128GB internal storage space. On the back, there is a 12MP+20MP dual-camera which is paired with a circular LED flash located slightly below it. A 20MP front-facing camera is also available for selfie and video-calling purposes. Under the hood, there is a 2,950mAh non-removable battery to keep the device ticking.